If you book and compare motorhome rentals and campervan hire online; they offer locals and tourists a unique opportunity to see the spectacular and diverse Arizona landscape, while enjoying a budget-friendly and relaxing family holiday. 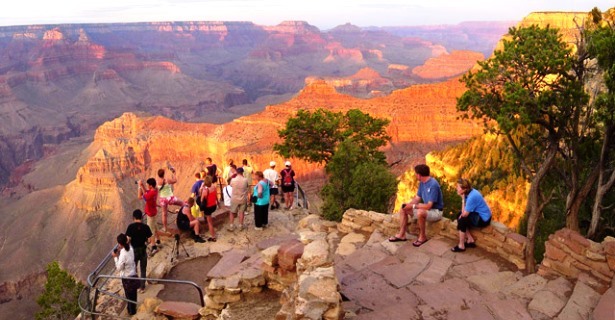 The incredible scenery to be found in this south-western region of the United States has made Arizona a favourite destination for nature lovers from all parts of the world; and seeing it all from a motorhome rental, campervan hire or recreational vehicle (RV) rental in Arizona, USA is simply the most sensible choice. Distances between towns in America are vast; taking your accommodation along with you means no back-tracking and gives you more time to enjoy the wide open landscape and all the attractions of the region. You do not have to worry about where to park your rent a motorhome in Arizona; this state is just made for an Arizona RV rentals vacation, and there are dozens of RV holiday parks available. Some camping grounds operate on a first come first served basis, so do a bit of research before you leave to avoid disappointment, especially in peak season. Arizona RV Rental is available in several sizes and configurations to suit your individual needs. You can choose an economical smaller Arizona campervan rental suitable for 2-3 persons; or a very large motor home on wheels sleeping up to 6 persons. All motorhome rentals in Arizona offer comfortable sleeping areas and well-equipped kitchens; so that you can easily rustle up a meal under the stars. The larger luxury motorhomes have many extras; such as a shower, toilet, air-conditioning, power hook-up and even TV and DVD players. There are a few very rugged scenic routes in Arizona that are only suitable for smaller truck-type RV’s to undertake. You need to bear this in mind when choosing your motorhome rental in Arizona. Where to go with your Arizona RV Rental? Right at the top of the list is the Apache Trail Historic Road on Route 88. This 42 mile stretch of brilliant scenery is one that can only be undertaken by the smaller campervan hire and motorhome rentals as part of the trail is un-tarred and very narrow and steep in places. Outstanding natural beauty – try to make it a must-do. The Grand Canyon National Park and Hoover Dam are also absolute must-see sights, and very accessible by RV rental with some very good overnight stopping places. Then go on to Las Vegas for some excitement of a different kind! Or perhaps you fancy a taste of the Old West? Drive south to Tucson and traverse the Patagonia-Sonoita Scenic Road to admire the very beautiful Patagonia Mountains; visit Tombstone, the home of the OK Corral, and visit some local wineries. One-way drop-offs in the USA can be arranged for RV rental in Arizona with major US RV hire companies Cruise America, Moturis RV, Compass Campers, El Monte RV and Pure Motorhomes from Phoenix, Arizona, so that you do not have to return your Arizona RV rentals to the original pick-up point.